Parents, stay with me on this one, because it's going to get controversial, but it's one of the most important things that a parent can know to keep their child safe. DON'T BELIEVE THE HYPE! THE DANGER IS NOT FOUND MOST COMMONLY FROM A STRANGER! The only reason the term "Stranger Danger" is popular is because it rhymes. We at CFMAF, have been teaching and preaching this for over a decade. Many educators come to us and say that they have this group or that person wanting to teach about Stranger Danger. My reply has been "WHY, Stranger Danger when most abductions occur by people in whom the child knows?" That shocks most back to the truth and brings them back from believing "The Hype.". According to research, the reality is that approximately 115 kids per year are abducted in the "media-sensationalized" sense - meaning by someone they do not know, who removes them from a safe place, and takes them with the intent to harm them, kill them, or demand ransom. We recognize that even 1 child is 1 child too many. So we of course we instruct on that as well, but wouldn't you agree there needs to be more to teaching your children then teaching them a phrase simply because it rhymes? The VAST majority (200,000+) of "kidnappings" are by family members, or someone the child knows or is familiar with. So, when others WASTE your time talking about "stranger danger", they are actually telling your kids that they can lower their guard around adults they "know" or are "familiar" with. Sadly, most are telling your kids to look out for fictionalized "bad guys", and we aren't giving them the proper tools to identify who the REAL bad guys actually are. It's VITAL that your child feels EMPOWERED to ask questions and demand respect from adults. No one - not a teacher, a family friend, a weird uncle - no one, gets to touch your child in any way that makes them feel uncomfortable. It's your child's RIGHT to speak up if that happens, and our responsibility as parents and educators to be sure your child knows how to do it. Does your child have the confidence to speak up if, God forbid, something happens? Sure, they need more than just confidence to speak up. At CFMAF we will teach them and you how to speak up and when. Through consistent training and repetition you and your child will develop the necessary skills to identity a threat and how to address the threat prior to an incident occuring, as well as what to do should an unfortunate incident occur. Those things are just some of the things we talk about and practice in our classes. 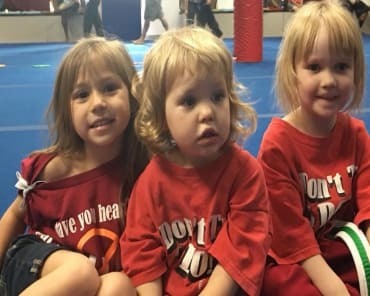 Yes, you and your child will learn kick, punchs, locks, and more, but we also teach preventation through increased awareness and scenario based training. Key things like how to use your voice and deploying realistic skills, not those seen in the movies, are impartive to the safe development of both you and your child. We also teach the children that it is not TATTLING to report to their parents or teachers something that they feel and know is wrong. There is a reason why so many schools request CFMAF to teach the children attending their facilities. We have for many years now been instructing educators, parents, and organizations that "stranger danger" is not the primary danger. Now it seems that finally people are listening and understanding. Contact us here in Colorado Springs, Co to learn practical self defense, increased awareness, and tips to help prevent abduction by attending our classes or events on Anti Abduction, Bullying, and more. Next time you hear the words "stranger danger", make sure your child knows it isn't just "strangers" that must respect your child's space, but everyone! And parents, you must remember that the real danger is people out there who still promote a rhyme instead of teaching upon the facts of todays time. This article was adapted, modified, and update from a previous article to enlighten those reading to the realities of todays world. Credit is given to all contributors including other writers and researchers.